What's an art gallery without merchandising? Now that Ace has his own place to showcase his infamous artwork, he needs a gift shop full of its own beautiful masterpieces. 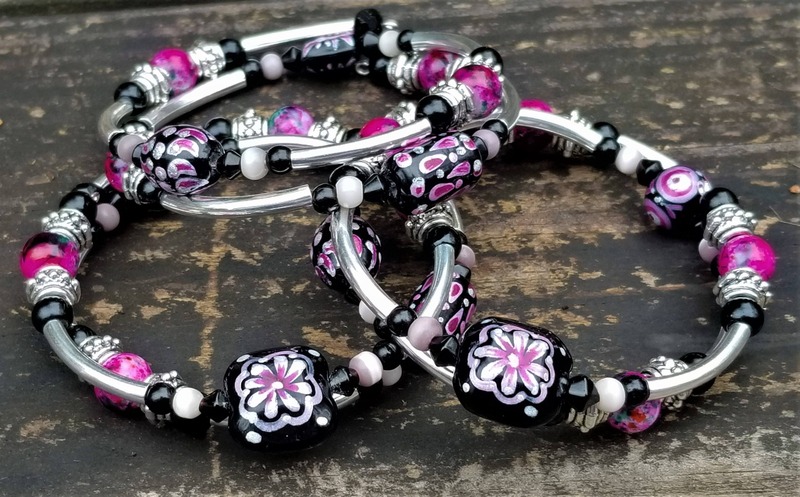 The highlight of these chunky bracelets are hand-painted lampwork glass beads with abstract designs in pink and silver and black. 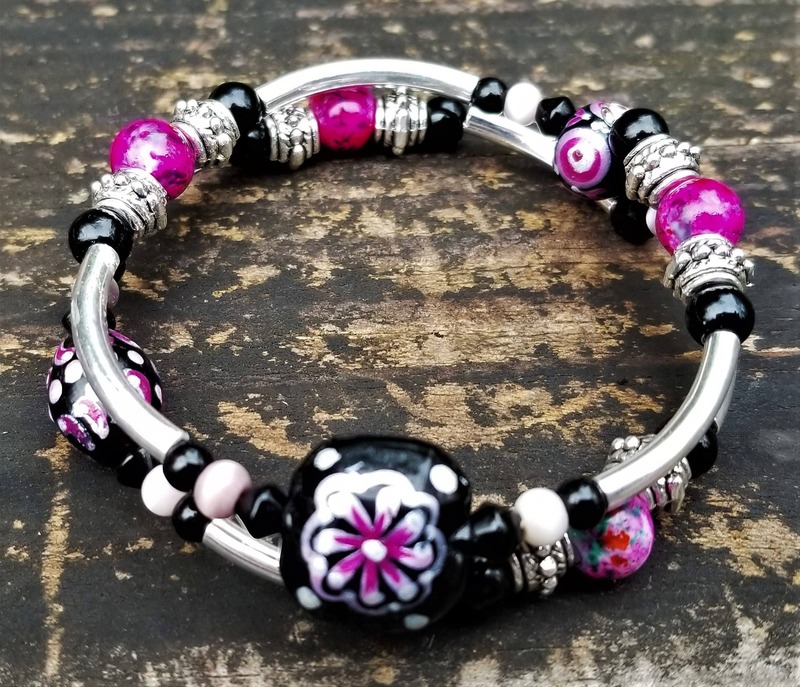 In between are gorgeous pink and black glass beads. 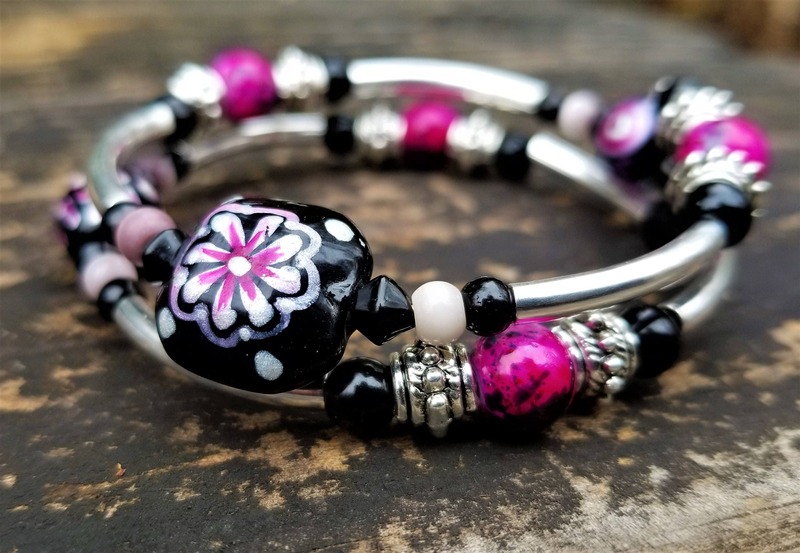 Silver-plated beads and tubes and black glass finish off the look. Though only two loops, these are pretty solid--and a little heavy! They also look great combined with our Fight Night bangles!